The GROHE Costa S basin mixer – modern style and brilliant build quality! Versatile and timeless design fused with precision German engineering! The GROHE Costa S basin tap looks perfect in any contemporary bathroom and is made from the finest materials to ensure it lasts a lifetime. The tap also has a handy retractable chain and is a delight to use every day. The tall 360° swivel spout with mousseur is super convenient and the gleaming GROHE StarLight chrome coating is scratch-resistant and very easy to clean – just wipe with a dry cloth and it looks pristine and new. 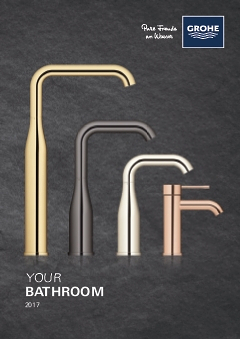 GROHE Costa – a quick upgrade that transforms your bathroom’s style and comfort.